WARNING: Listener discretion is advised. 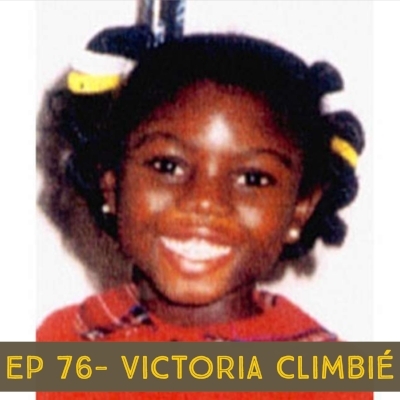 This week we discuss the case about 8 year old Victoria Climbié. She was put into her great-aunts care so that she could receive better education and a better upbringing as oppose to being brought up in a poverty stricken home in Ivory Coast, Africa. Even though Great Aunt Mary-Therese promised a better life for young Victoria, as soon as they set foot in France, the abuse began. You know how we hate leaving our episodes on a sad note so to end this episode, we play a game of F*ck, Marry, Kill. Our Sponsor this week is LOLA, a feminine product delivery service! They have 100% organic tampons, pads, and more. You can change, skip, or cancel your subscription any time. LOLA is offering 40% off of a subscription to new members so head on over to MYLOLA.com and enter promo code mentioned in this episode.